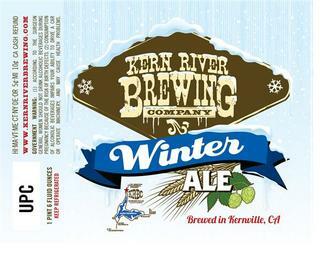 This past Friday marked the release of Kern River Brewing Company’s CITRA DOUBLE IPA. In honor of that glorious event, my roommates and I jumped in the car and made the 2 1/2 hour trek into central California. We arrived around 3:30 in the afternoon and were glad to see that the bar/restaurant was relatively empty. Soon we were seated and I had my first glass of Citra ordered. Sadly, I was unable to purchase any bottles to take home since they had sold out at 11:30. Boo. So, I ordered a second glass and made sure to take notes there at the bar, instead of at home (like I had originally planned). 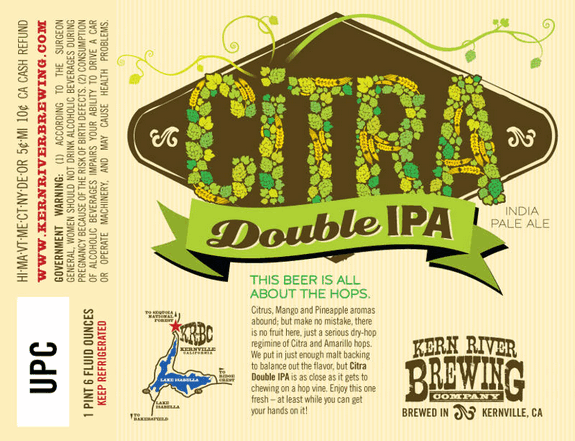 Citrus DIPA is a limited release Double IPA with an 8% ABV.